I followed some clues, which led me to the discovery that a brand new ToeJam & Earl sequel was in the works. ToeJam & Earl: Back in the Groove will be a true sequel to the original game, with the old isometric viewpoint and randomly generated, stacked levels, and it’s been fully funded via Kickstarter. Since then, I’ve been in touch with Greg Johnson, the man behind this new funky venture (and 50% of the men behind the original ToeJam & Earl). He was kind enough to clarify a few things in a press kit he recently sent out, and I’m kind enough to share them with you, the clever and attractive Retrovolve audience. Johnson has mentioned before that the direction that ToeJam & Earl in Panic on Funkotron took was not the intended vision for the game but one that was sort of dictated by Sega at the time. With the upcoming game, Johnson is hoping to stay independent in order to make this the exact game he wants to make. 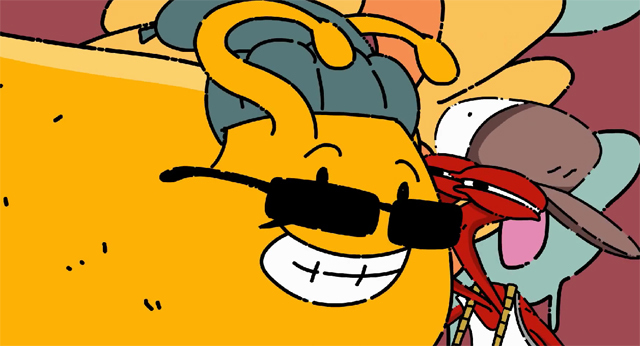 Toejam and Earl: Back in the Groove is being built by a very small indie team. Up to this point we have been self funded, and if all goes well we plan to stay indie, i.e. publisher free, so that we can build the game we want to make. Publisher free? That sounds cool. So wait, who owns this IP now? In regards to ownership of the property, Mark Voorsanger and I co-own the property. Sega has licensed the property from us to publish our earlier games. We maintain a good relationship with Sega and keep them informed about our plans for this new product. Hopefully there will be some synergy between this and the older products that they are still selling digitally. Ah, makes sense. So which platforms can we expect to see this game on? We are building in Unity and plan to go to all platforms where possible. There won’t be any exclusivity. That said, we plan to focus 100% of our attention on the game before porting so we’ll be building first for the PC (and Mac/Linux) only. After the game is tweaked, and tuned, and as fun as I want it to be, we will take it to other platforms. Well, and this is all assuming we can afford to do this, or get deals that allow us to, but I’m feeling very optimistic. One final question that may be tickling the back of your brain right now is this: Why now? Well, Johnson answered that one too. There seems to be a lot of retro-game nostalgia in recent years. Perhaps it’s because so many gamers have reached that age where they want to look back, or maybe it’s because of how easy it is to tweet out “hey, remember this! ?” or post old photos on Facebook and Instagram. Or perhaps the prevalence of retro-properties from crowd-source funded projects has sparked a renewed love of childhood properties. Whatever the reason, there has been an outpouring of fan requests for a new Toejam and Earl game in the last few years. I’ve wanted to make a new game for years. After I finished Doki-Doki Universe for Sony, it seemed like the perfect time. One of the great things about Kickstarter is it lets you get a read on what people want, so we’ll be able to tell right away if we’re on the right track. Right now I’m holding my breath to see what happens. (I hope I’ll be able to breathe soon). Yes, Greg, take a deep breath. We need you breathing so you can finish this game!